When a woman is pregnant, her blood volume doubles and her liver and kidney function changes. 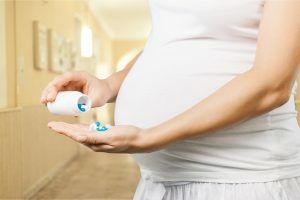 No one knows how that affects the medication a mother may be on for any number of preexisting conditions, “so doctors find themselves prescribing medications, or taking pregnant patients off them, without strong evidence of benefit either way,” explained the author of this report. Are you pregnant and taking medication for any preexisting condition? If so, ask your doctor how he or she plans to manage that medication keeping in mind the potential consequences to your baby and the unknown effects on you as well. If you or a military dependent family member was harmed by medication or treatment given by an Army, Navy or Air Force doctor or midwife during pregnancy, our experienced military medical malpractice nurse attorney can help. You may contact us by calling toll-free 1-877-695-8757 (24/7), e-mailing us at LawHelp@MilitaryMedicalMalpractice.com or filling out the short form on the right side of this page. The military malpractice attorney at Brown Law offers free case evaluations and charges no fees ever unless we get a recovery for you. Source & to read more: https://www.npr.org/sections/health-shots/2018/12/10/673897043/research-gaps-leave-doctors-guessing-about-treatments-for-pregnant-women; to hear the full audio from this report, please click below.